I sent a message to Matt Iseman who's been an awesome sport in dealing with me during these past few months leading up to the Final. Each time I'd convey the message of the fans to please bring a Japanese competitor to ANW4 (just like they did in ANW2) even if they didn't compete at all. It would be an awesome opportunity for fans to meet him up close and personal. Even sent him the tweets from Yuuji mentioning that he would love to go and followed ANW's steps along the way from prelims to Regional Finals to this weekend's Finals. So as the rumor drew stronger I sent Matt messages to look for him for me :) LOL And then I get the tweet that made me smile all night. He was in Vegas! Now, I don't expect Nagano to be featured at all in the broadcast but it's nice to see him getting the opportunity that we all wanted. To meet the fans. I wish Yuuji had the same opportunity but beggers can't be choosers. 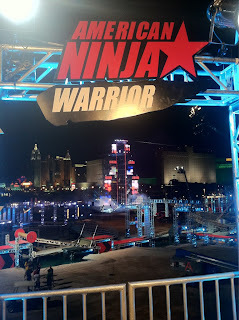 As of last week I was sure ANW wasn't going to have a single Japanese competitor. Now I'm happy I can say for a fact that there is one! And he is undeniably the most recognizable. 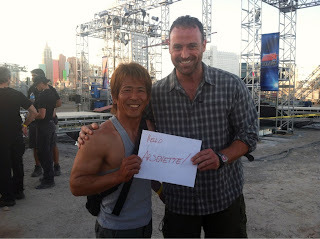 So if you are Vegas and near the ANW set.. look for him and greet him. He genuinely loves fans. He sacrificed a lot to be here. Especially during the anniversary of his father's death. 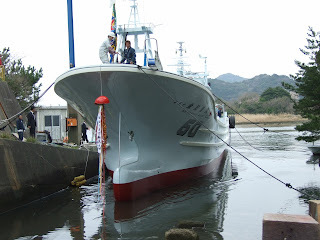 "50th" Konpiramaru - Makoto Nagano's new ship (to be officially launched in May, 2012) ©Takasui Corp. 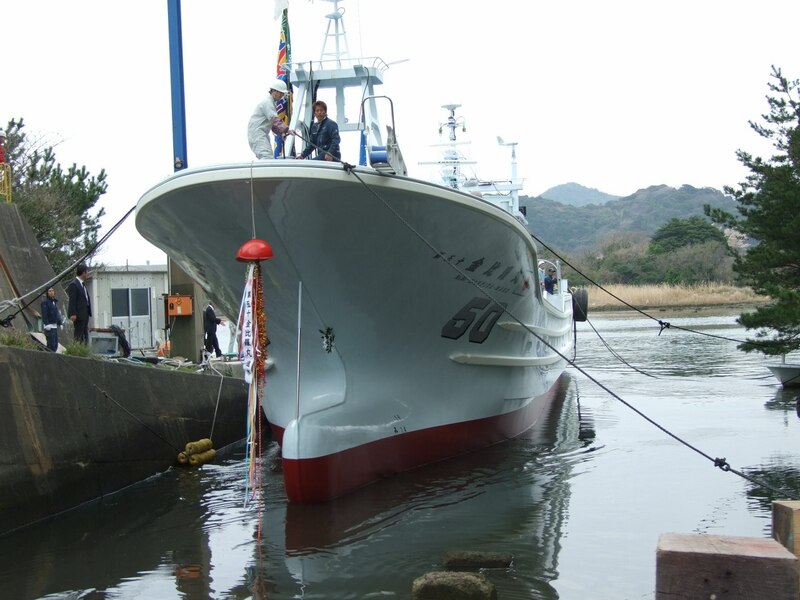 In closing I forgot to add to the previous blog another view of Nagano's brand new ship (scheduled to be completed and part of the fleet in May, 2012). Hopefully I'll have more pics of the All-Stars participating in the Maguro Festival which starts on the 29th of April and of course any fan pics with Nagano from ANW4! Yay for Nagano, but Its a shame that g4/NBC hate Yuuji so much and didn't bring him with Nagano. I heard that he even expressed that his desire to go. I'm not Yuuji's greatest fan but he deserved to go just as much if niot more than Nagano. I'd really love to see Comcast's faces if he had the money to fly out and join the crowds. They'd probabely carry him beside Nagano and NBC would be like WTF?